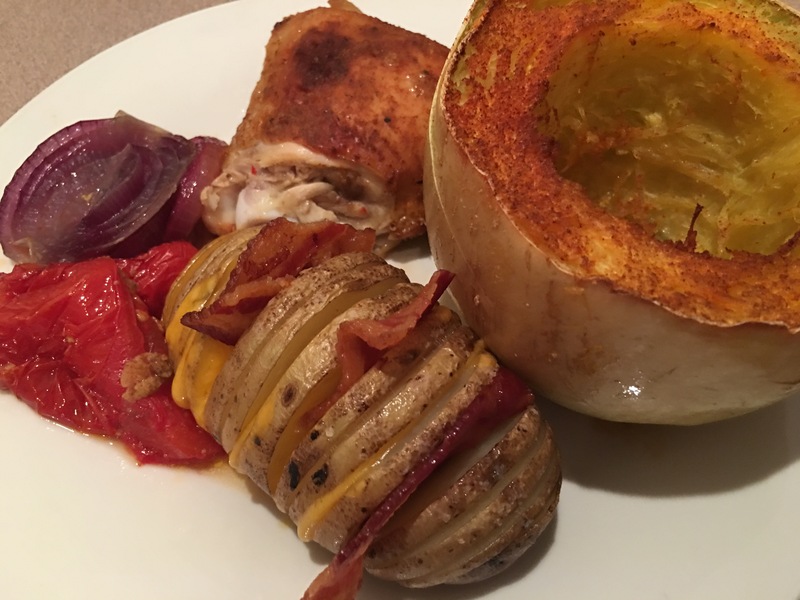 Baked chicken with hasselback potatoes and spaghetti squash. – Hurried Home Chef! Baked chicken with hasselback potatoes and spaghetti squash. 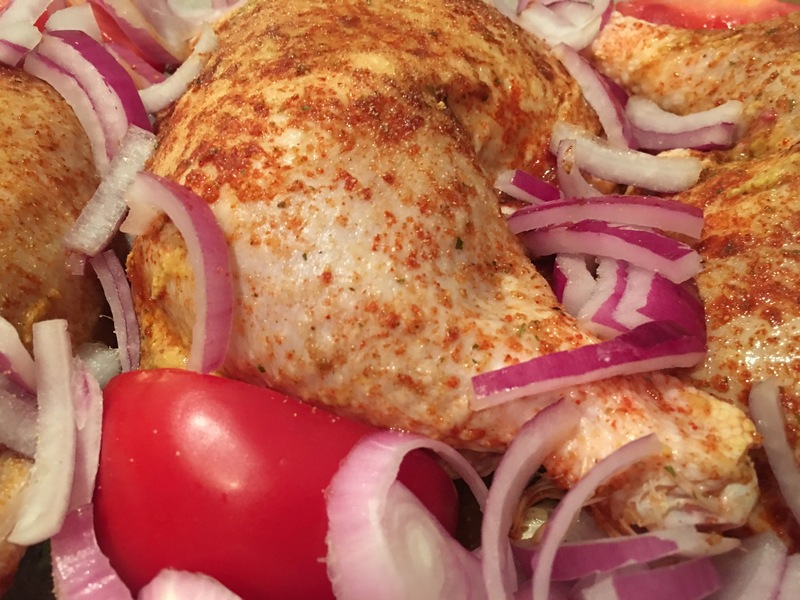 Making chicken quarters are easy and require minimal effort, and you don’t have to constantly watch them like grilling or cooking on the stove. They are also quite economical. 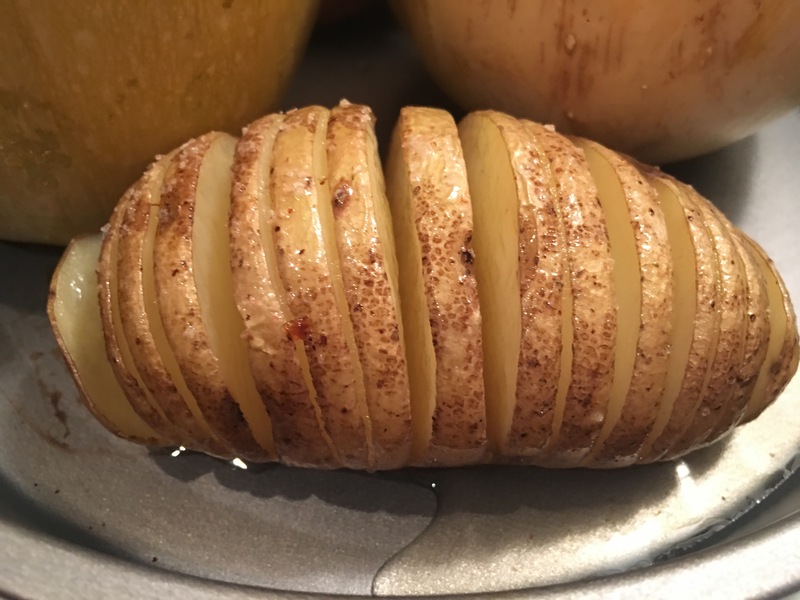 First, I season the skin side with salt, pepper, and cayenne. Then I flip it over and season the meat side with mustard, salt, pepper, and Worcestershire sauce. I put some thick onion slices on the bottom of the pan more so to prevent the chicken from sitting directly on the bottom of the pan to help it cook more evenly. You also get the bonus of the flavor in your sauce. 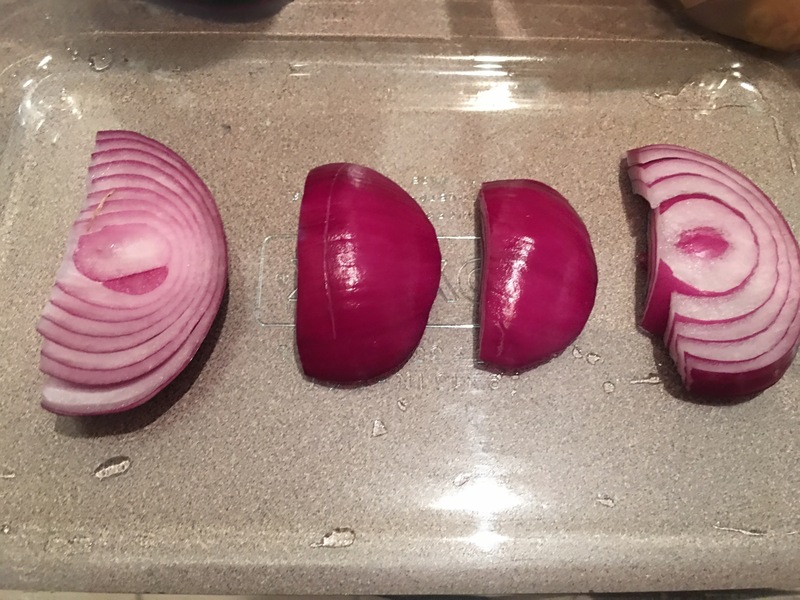 I diced the rest of the onion and I had a ripe tomato laying around so I added that as well. This went in a 400° oven for about 40 minutes I flip the chicken over and then another 20 minutes or so. You should use a meat thermometer if you’re not good about knowing when chicken is done. Internal temp for chicken is 165. 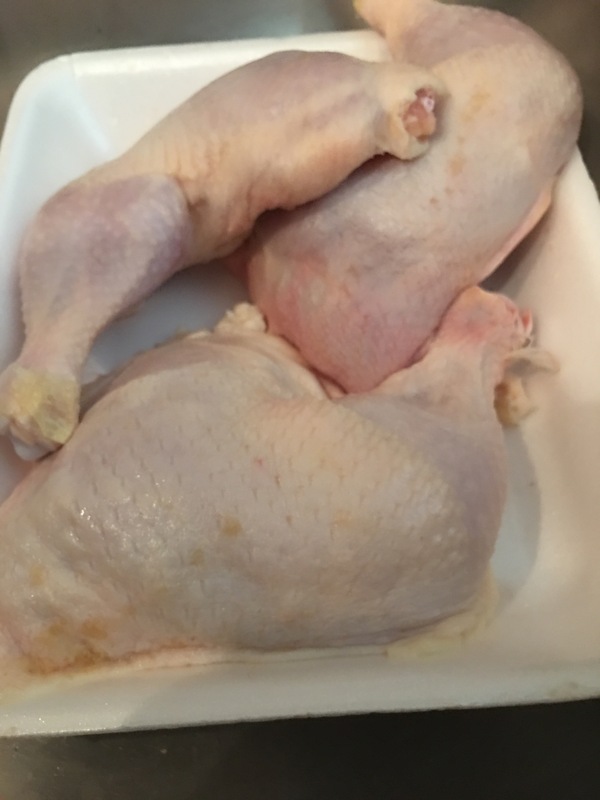 Before I flip the chicken and I actually cut through where the leg and the thigh connect and saw that it was pink,, when the meet starts pulling away from the end of the leg then you usually in good shape. 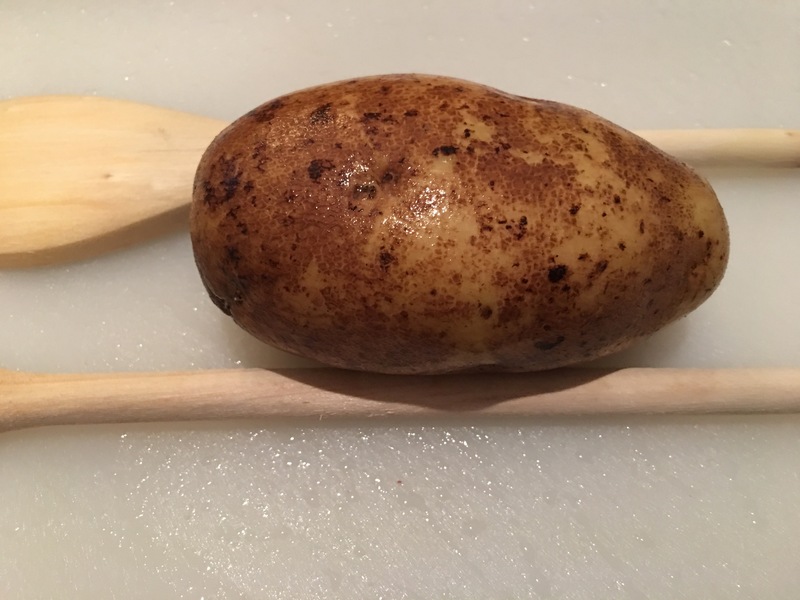 So this is one Pinterest find that actually works, take two wooden spoons and put the potato in the middle. Then make several slices without cutting all the way through. 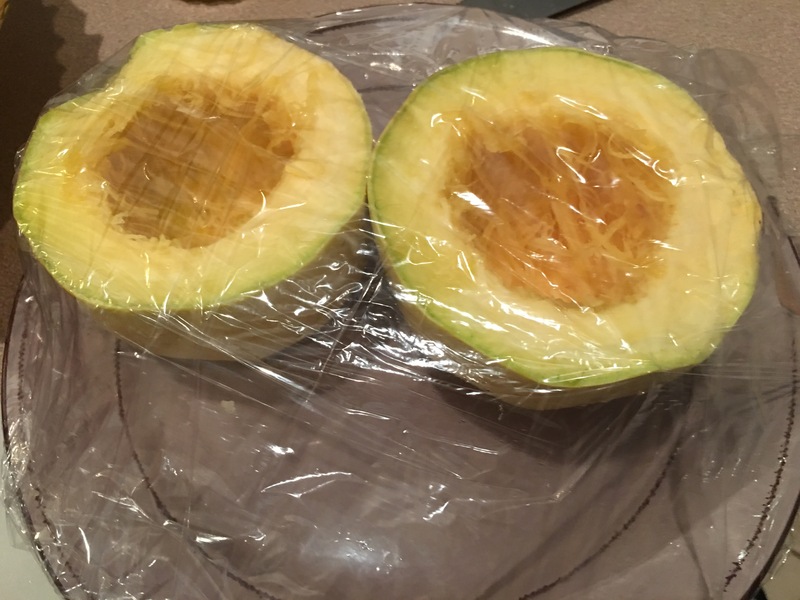 I was also cooking spaghetti squash, but I wanted to get it started so it didn’t have to fully cook in the oven, so I covered the squash and the potatoes with clingfilm adding a little bit of water at the bottom of the plate and putting it in the microwave for about seven minutes. 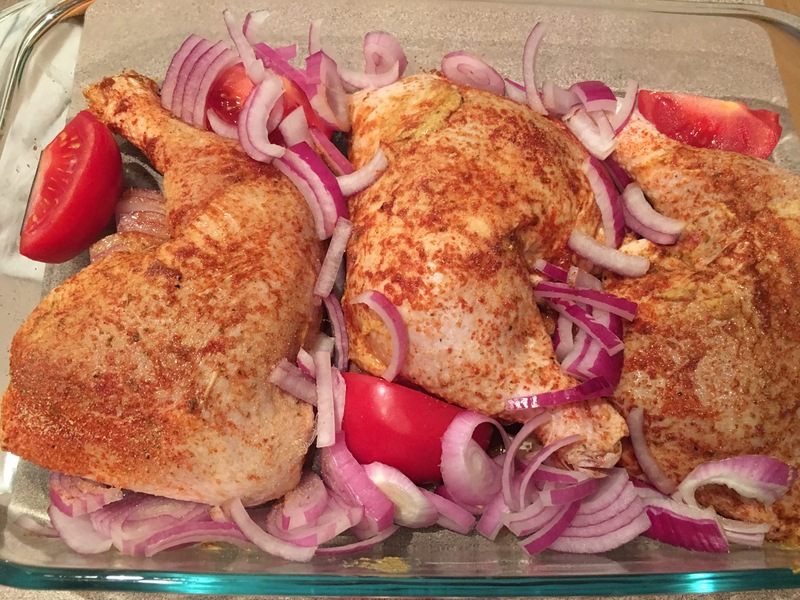 Then I put it into the oven for another 20 minutes because the chicken wasn’t finished yet. 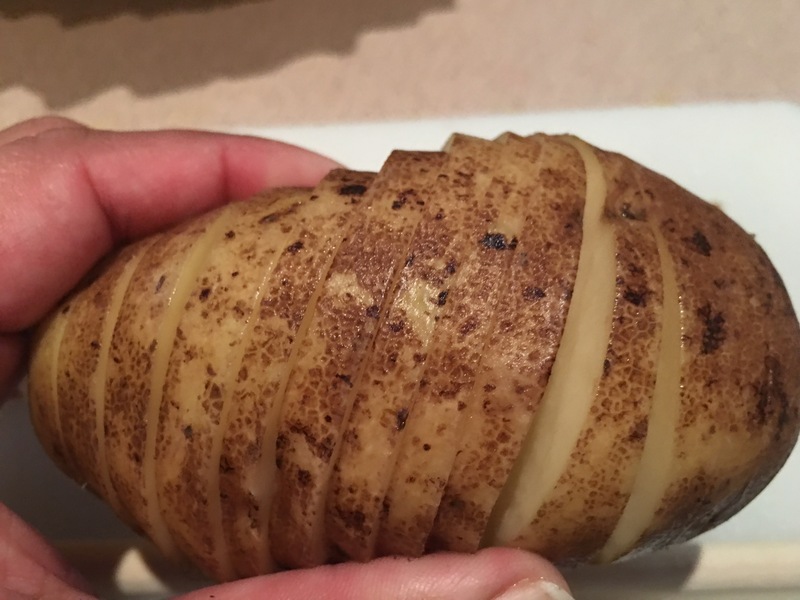 When you have about five minutes left, and you can dress up the potato. 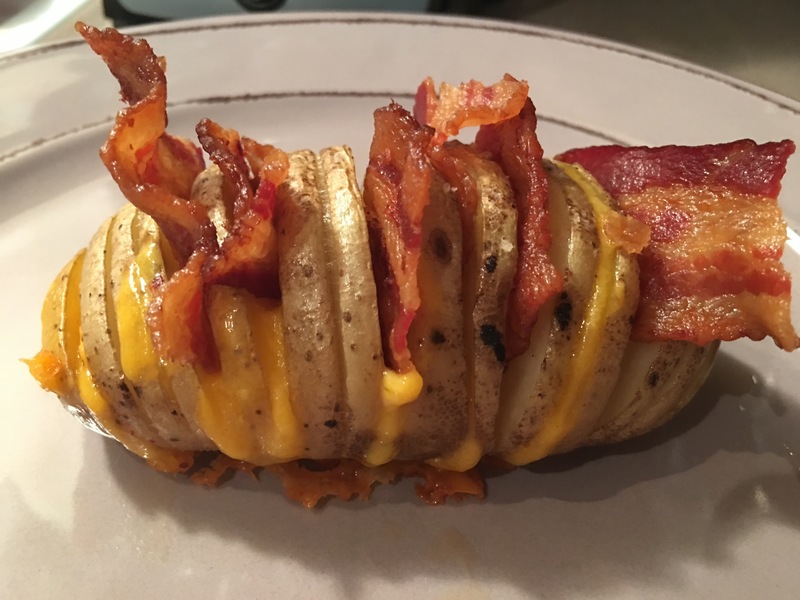 I put some cheddar cheese in between the slices and I also waited until the end to put in the cooked bacon. I didn’t plan to make this, so next time I will add some chopped chives or green onions as well as some sour cream. If you are not watching your fat intake, you can alternate the cheese with slices of butter into the spaces. It turned out well, this was a fast, what’s in the fridge kind a meal, but sometimes it happens that way.